The 2606B High Density System SourceMeter (SMU) Instrument offers four 20-watt SMU channels in a 1U high form factor chassis. As manufacturers need to optimize plant floor space and reduce test time and costs, the 2606B improves density by 3 times, increases throughput, and minimizes the need to add additional racks of test equipment. This SMU is the perfect solution for production testing of Laser Diodes, LEDs, 2- and 3-terminal semiconductors and much more. 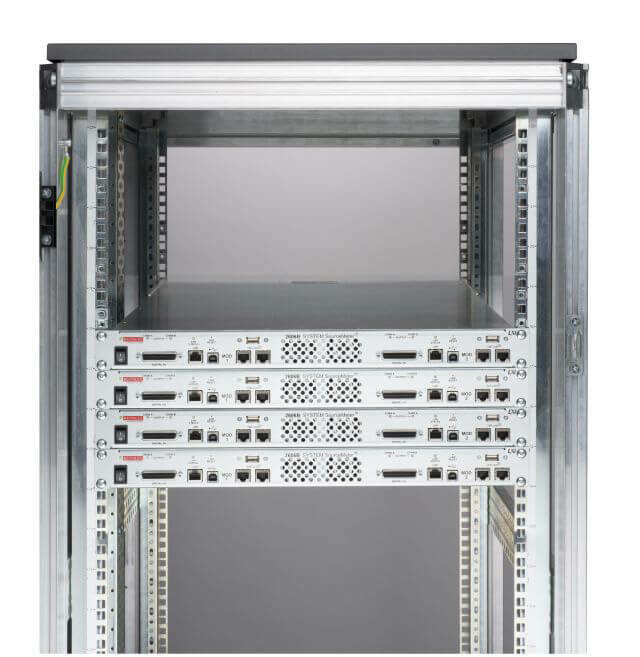 When production test rack space comes at a premium and you need to minimize adding new test racks, the 2606B enables you to add more channel capacity in the same rack area compared to traditional 2U form factor SMUs. Experience the same superior measurement integrity, synchronization, speed, and accuracy as the industry leading Keithley 2602B System SourceMeter, but in a 1U form factor. The 2606B also uses the same analog, digital I/O, and TSP Link connectors as the 2602B, enabling seamless migration. 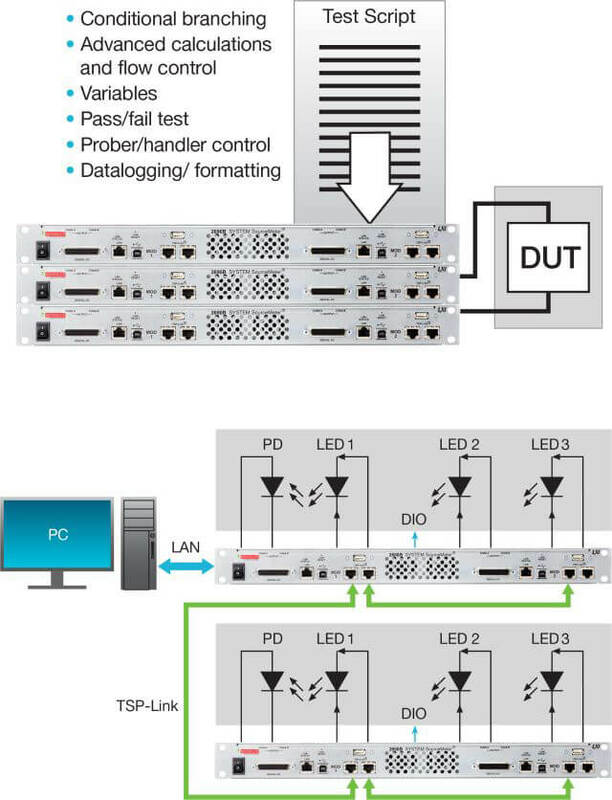 Test Script Processor (TSP®) technology embeds and executes complete test programs inside the SMU instrument to deliver industry-best performance. 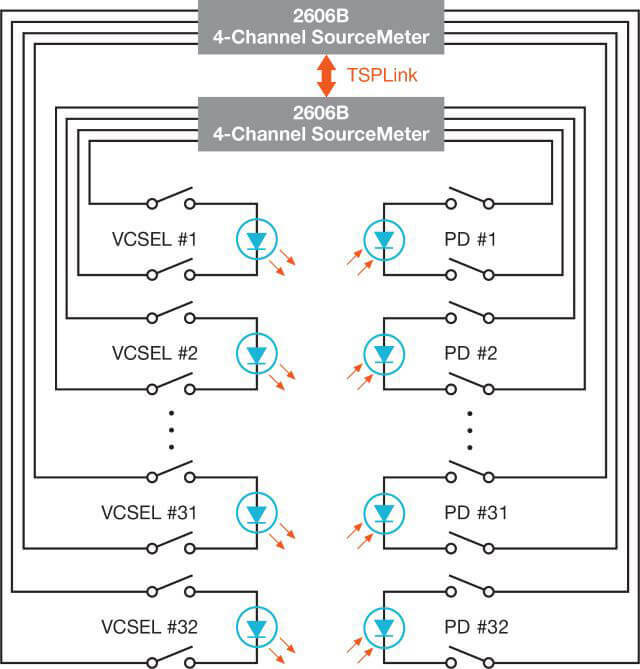 TSP-Link® technology enables expansion up to 64 channels for high-speed, SMU-per-pin parallel testing without a mainframe. 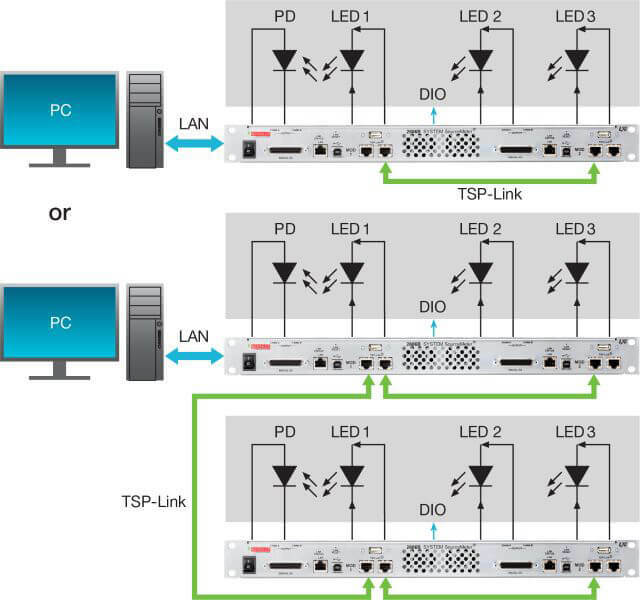 All channels are simultaneously and independently controlled at a tight <500 ns. 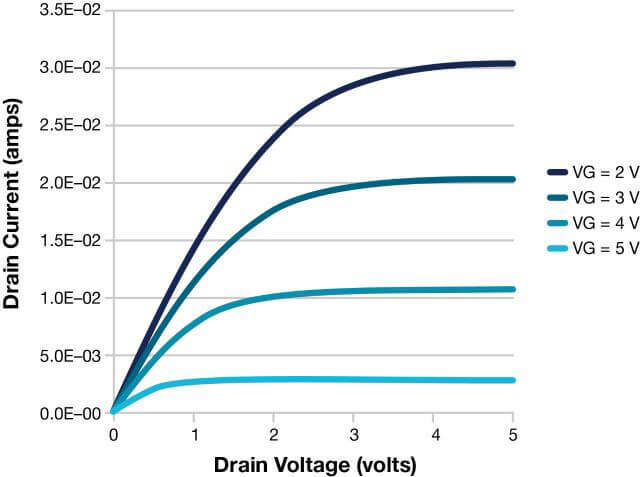 Industry's best DC test system for Laser Diode (LD) production test uses high speed and high accuracy SMUs for both current sourcing and voltage-current monitoring of laser diode modules, photodiode current. 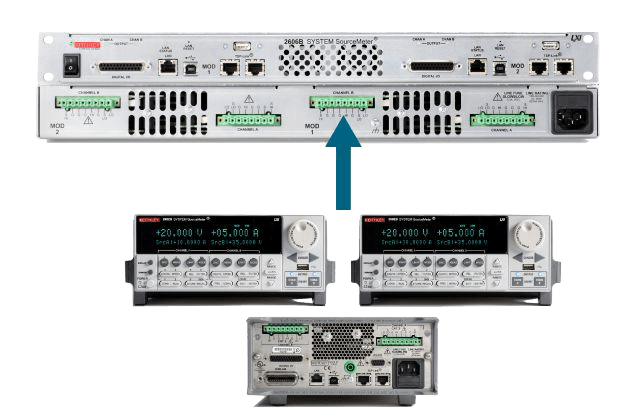 SMUs are the most cost-effective LIV instrumentation with high system synchroization and throughput. The 2606B SMU is an industry leading instrument for LED DC characterization and production test. It's configurable to source current or voltage coupled with voltage and current measurement at 0.015% basic measure accuracy for a variety of test needs. In addition, the Test Script Processor (TSP®) technology provides throughput advantages. With its integrated source and measure, voltage or current, precision and accuracy, a 2606B System SourceMeter SMU instrument is ideal for testing transistors on wafer or in packaged parts including capturing drain family of curves, threshold voltage, gate leakage and transconductance. These instructions describe how to use the Model 4299-13 to mount a 1U full-rack Keithley Instrument in a standard 48.3 cm (19 in.) rack. Les points suivants correspondent aux avertissements utilisés dans le Manuel de référence du système 2606B.